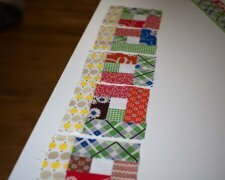 "I will be making a scrappy log cabin quilt and posting my progress with tutorials as I go along. 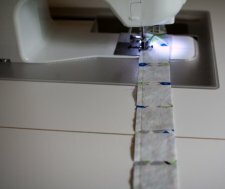 Follow along with me and use your favorite fabrics to make your own log cabin quilt. 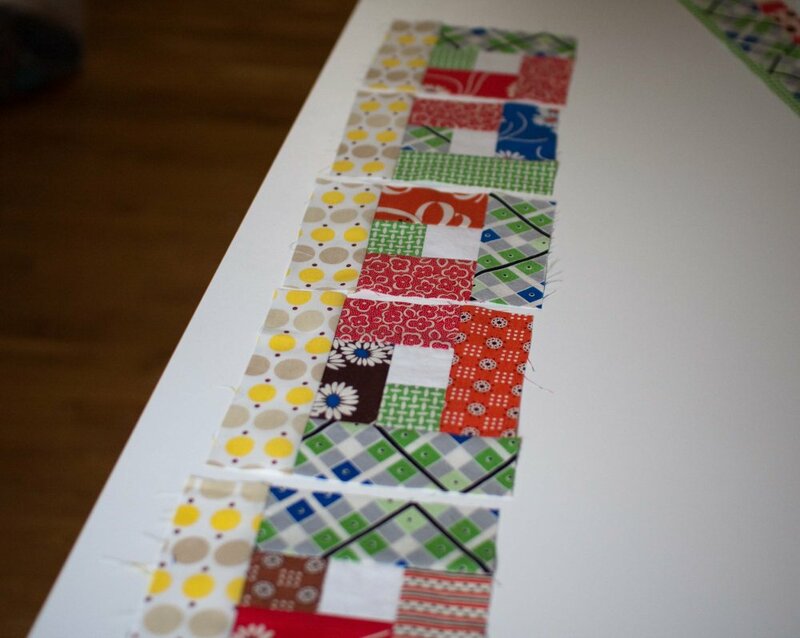 "I will be making approximately 42 - 10 inch blocks for a large lap/twin quilt size. This tutorial uses the chain piecing method so there will be no need for measuring fabric fabric pieces, making precise cuts, or perfect seam allowances. Because there are no points to match this is perfect for a first quilt. In fact, you can make the squares a little big larger and then use a ruler to cut them to the 10 inch size."